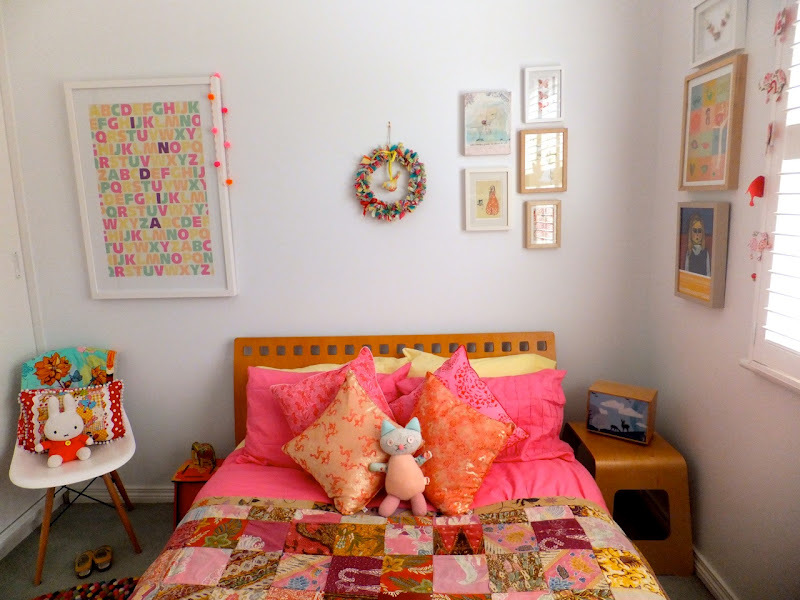 A bright, modern and eclectic mix of patterns, colours, and furniture make this the ideal little girl's room in my book! That chandelier is to die for, and I've been coveting that pom-pom rug for ages and wondering if it might not just be right for Fern's room... loving the collection of artwork and prints and can I mention how flattered I am that that wreath in the centre of the wall is by Bubby Makes Three? It makes my day when I see one of my proudest creations in such a beautiful space! Thanks for sharing this room, Jemma! 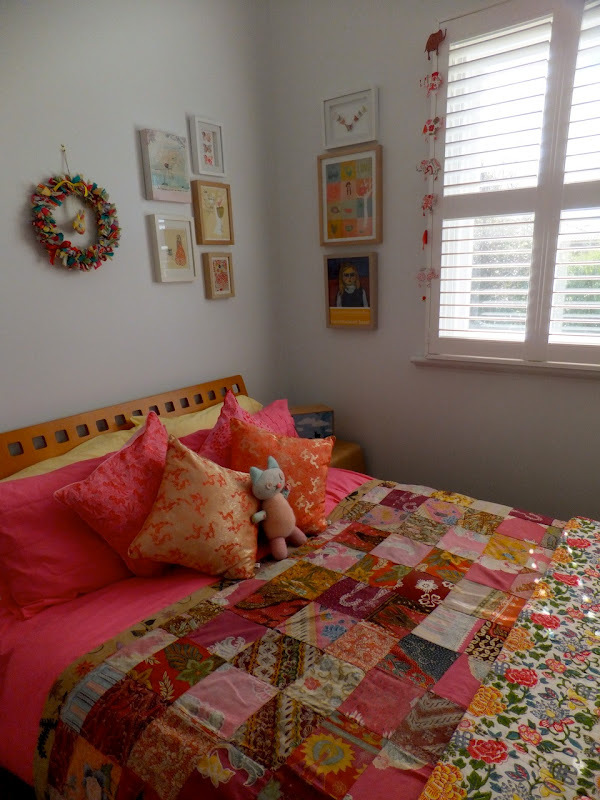 I agree - what a beautiful and original room for a little girl. 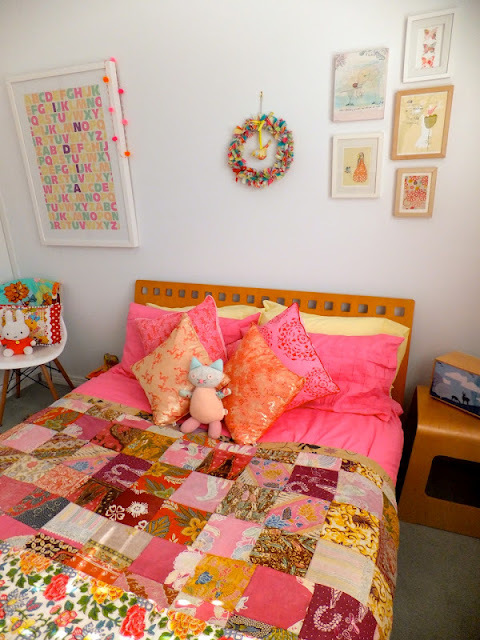 I love the quilt cover too! p.s your wreath is gorgeous! I've saved this post away in my 'christmas project' ideas folder. Wow, it's awesome! Love it all and your wreath looks great amongst the other artwork. 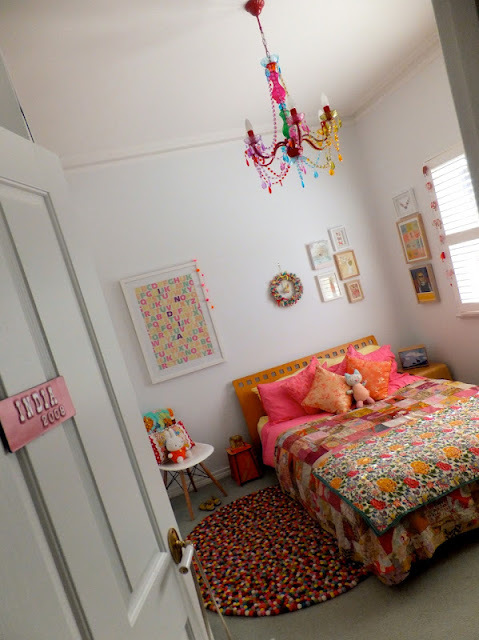 I've admired those rugs before too, there's one in pink and grey I'd love for Soph's room. Love that chandelier too! I thought that was your pretty wreath! That quilt is absolutely beautiful! Loving this room. I am in love with that wreath. 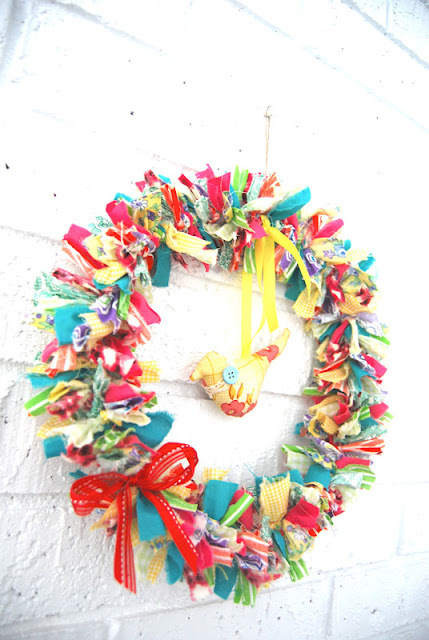 It's the most colorful wreath I have ever seen.